is not the secret to weight loss. Why Should I Never Diet Again? Because diets don’t work. And you don’t need them to work, because you can be happy and healthy without dieting. Instead, we offer 12 smart regulation strategies that help you reach and maintain your leanest livable weight – the weight at the low end of your set range. These scientifically tested strategies work because they don’t fight biology or rely on willpower. They don’t require agonizing self-denial or a single-minded focus on your weight, so you can make these simple changes and then get on with the important things in life. This book is for anyone who has ever lost weight and regained it. This book is for anyone who has ever beat themselves up about not having enough willpower. And this book is for people who eat, because it provides simple, sensible strategies for healthy eating. If you've ever dieted or planned to diet, do yourself a huge favor and read this book instead. 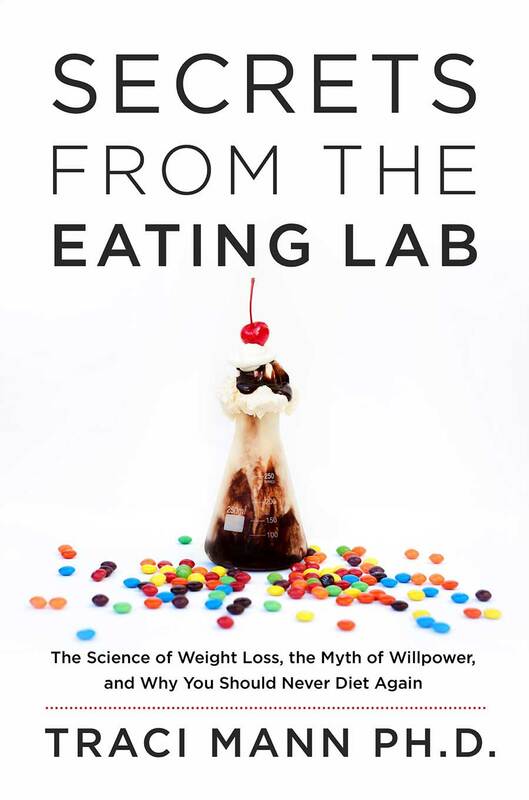 Secrets from the Eating Lab is an absolute must-read for anyone who has ever been on a diet or for any person worried about their weight or appearance. In her clever book, Mann provides key insights and practical lessons that will make you think about—and then change—the way you eat. Dr. Mann’s innovative research reveals a better, more effective path to sustainable weight loss. Dr. Mann infuses a great sense of humor into her statistics. She makes sense and offers some comfort to all those whose self-esteems have been damaged by fat shaming and discrimination. Five stars. Very informative, very even-handed, and steeped in actual science instead of opinion. Susie Rodarme, Book Riot: "The Best Books We Read in May"